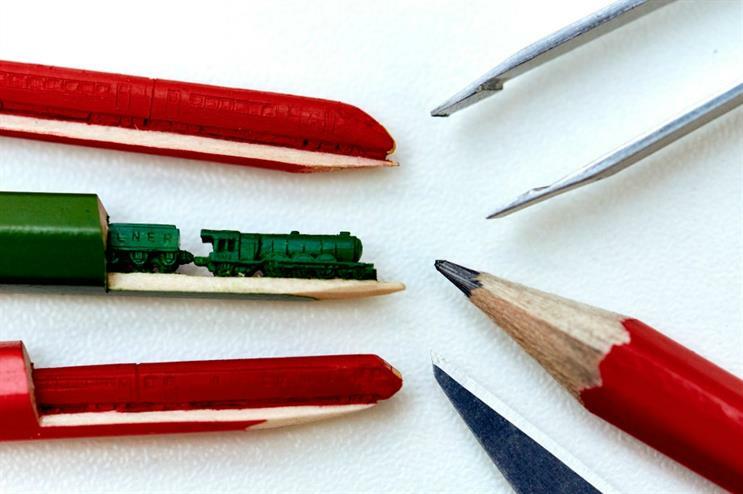 Virgin Trains is to unveil micro-sculptures of iconic trains at the world's smallest train exhibition. The event, called ‘Icons of the East Coast’, is being staged at London’s King Cross station, to mark one hundred weeks until the Virgin Azuma model comes into service. It is open to the general public for one day only on 3 October. The exhibition will house micro-sculptures created by world-famous miniature artist, Salavat Fidai. They will showcase the evolution of British passenger rail travel, from the early days of the Flying Scotsman right through to the Virgin Azuma, which launches in 2018. Consumers will be provided with magnifying glasses to view the tiny and detailed sculptures, which are near impossible to appreciate with the naked eye. Visitors will be able to feast their eyes on the microscopic steam engine of Flying Scotsman, in service from 1923, the windows and doors of the Virgin Flying Scotsman, launched in 2015, and the advanced, sleek lines of the Virgin Azuma, coming in one hundred weeks time. David Horne, managing director at Virgin Trains on the east coast said: "The Virgin Azuma is set to be one of the most state of the art trains on the network when it arrives in 2018. What better way to celebrate one hundred weeks to go than to showcase its elegance alongside other landmark trains with these stunning intricate sculptures." Paul Kirkman, museum director at the National Railway Museum said: "The National Railway Museum is home to over 300 years of rail history and we’re always looking for interesting ways to make this history come to life. We’re delighted to see Flying Scotsman in this exhibition, which is a fun way to showcase to the public a snapshot of the incredible advancements in passenger train travel over the ages." Virgin Trains laid on a one-off Comedy Coach travelling between London King's Cross and Edinburgh on 9 August to get people laughing.